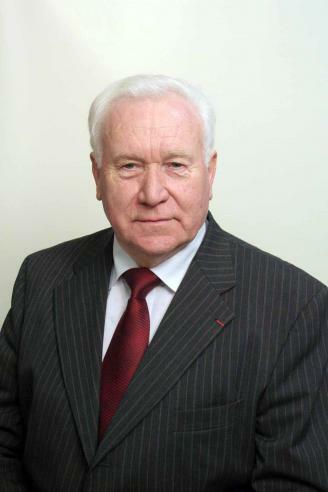 The FFC and Patrick CHOLTON, Chairman of the French Federation of Coachwork (Fédération Française de Carrosserie), express with sadness the accidental death of Joseph LIBNER, Chairman of the FFC between 2010 and 2014, which occurred in its 77th year. Joseph LIBNER passed away on the 29 April of a domestic accident. An emblematic figure of the profession, Joseph LIBNER embodied all the values defended in his company since 1965, when he founded the LIBNER SA. The innovation first, which earned the company Saint-Maixentaise (79) to receive many awards in fifty years, SOLUTRANS, the IAA Hannover or at the SITL. These include the body OPEN BOX REVOLUTION in 2005, or the famous BIL (intelligent logistics base) in 2017, a small delivery electric vehicle housed in a truck trailer, and that allows in an instant to go deliver in hyper center in an ecological way. Joseph LIBNER also preached family values and a humanity that even his competitors recognized. He had given the reins of his company to François, his son, in 2004, but remained Chairman of the Supervisory Board and continued to survey the corridors of the company as a passionate and caring professional. Joseph LIBNER was also a visionary, who had bought the Baches Jean companies in 1988 and Palkit in 2015, to make his group a multinational present in 14 countries, employing nearly 300 collaborators to date. A success and an implication that have earned him to become Chairman of the FFC - French Federation of Coachwork between 2010 and 2014, during a mandate when many projects were completed. So much that Joseph LIBNER received the badge of Officer of the Legion of Honor on April 21, 2015, from Ségolène Royal, then Minister of Ecology, Sustainable Development and Energy. "It's a huge loss for the Federation and for the industrial and urban vehicle industry, Joseph was a visionary man, whose actions marked the trade and our professional organization. I salute the pugnacity of a man whose human qualities and professional have made great progress" said Patrick CHOLTON, Chairman of the FFC.